The cake shop ‘viva la vida’ in Kakogawa city has an impressive blue wall and door. The interior of the shop has a nice atmosphere and lots of wood, and the shelves were full of lots of nice looking sweets and cakes. Among many sweets, I was particularly taken and enchanted by the chocolate cakes. The owner remarked that he is the kind of person who easily gets bored of the same cakes and always wants to make something new.Because of this, the cakes on sale often change and this even extends to the most popular products.I look forward to buying something new every time I visit the shop. The picture shows the cake named Opera which costs 450 yen and was made after a long period of the trial and error. I tried this sponge cake and was impressed by the rich coffee syrup and through that it would for a glass of brandy. The picture above shows an impressive and artistic cake called Dark Night which costs 500 yen, and which I would recommend to chocoholics. Underneath the smooth chocolate cream, lay a combination of crunchy cookie, chocolate sponge cake and vanilla mousse. The marriage of light sponge cake and vanilla cream with chocolate cream came together to create what I would consider to be the perfect cake. This picture shows a cake called Banabakkuru which costs 500 yen. This crispy tart contains bananas, fresh cream, chocolate and hazelnut cream. I can imagine this satisfying dessert being popular with all ages. The above cake is called Mirurian and sells for 500 yen. This rotund and lustrous cake had a nice coffee aroma and mild chocolate taste. After taking just one bite of this cake I feared that I would want to eat it every day for the rest of my life. This cake is called Tart o-chocolat and can be yours for 480 yen. A crispy tart lays the foundation on top of which is layered Ganache cream, fresh cream before finishing with a thin layer of chocolate. I recommend eating it with a cup of tea in the afternoon. The next cake is called Vienne and costs 500 yen. This pretty cake was topped with chocolates which look like tiny nuts. I can imagine forest fairies might be lured by the scent of caramel and have a tea party on the cake. 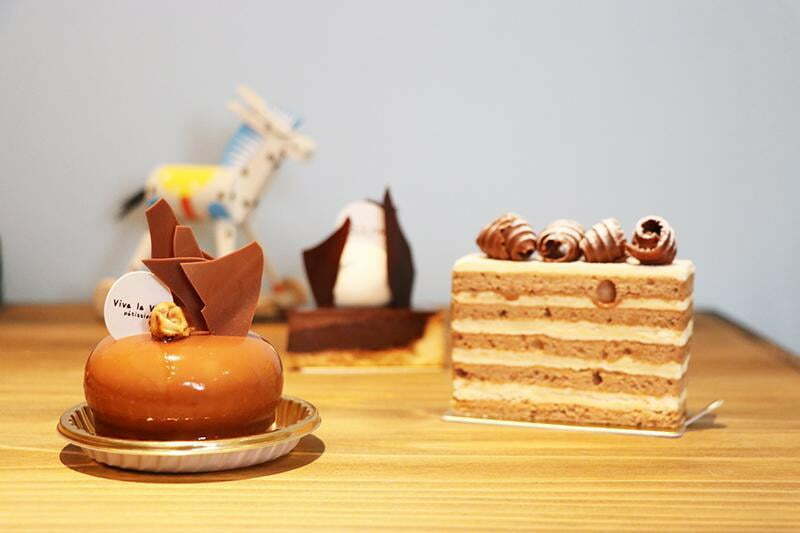 After visiting viva la vida I came away with the impression that the owner is some kind of capable of creating magic and wonder through cakes. Why not see for yourself. Open between 10 am and 6 pm or until the day’s stock sells out. Please tell the shop staff that you saw the Himeji Mitai website when making inquiries.